Mindset Reset sessions are a personalised, one-on-one, 60 minute connection to help you get your head straight and put you back on track. They’ll also help you silence that annoying little voice and support you to get on with it! Mindset Reset Sessions are $95 per hour, can be booked as needed and can usually be arranged within a 24 hour period. Click on the ‘Add to Cart’ button to purchase your session, and then we’ll contact you to arrange a time that suits. These sessions are ideal for women who need a bit of help with their direction, focus and motivation. They are also highly effective for women who have a challenge that is in the way of them moving forward, that they need to create some new thinking around. This could be either a work or personal obstacle that is preventing your progress. 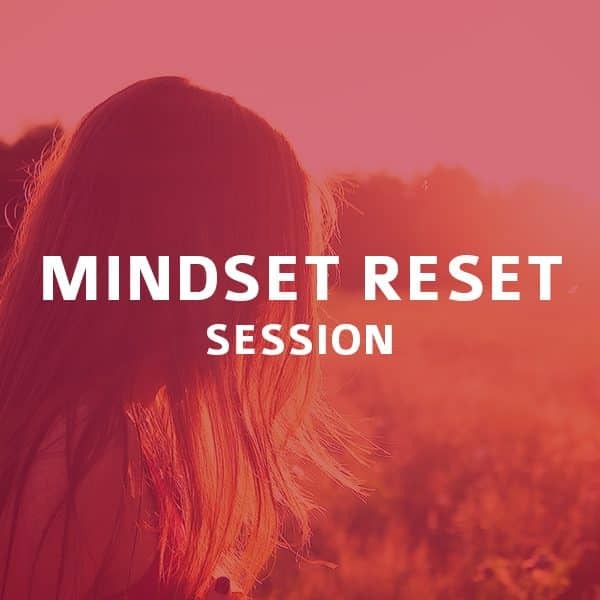 Mindset Reset sessions are perfect for women who need a bit of a kick up the backside every once in a while, to get them into gear. And they’re great for women who need help with setting a goal or creating an action plan (and sticking to it)!